The day started out at 43 degrees and was at 64 degrees by the 3 pm weigh-in. Partly cloudy skies all day long with the wind out of the NNE at 5 to 10 mph. Lake Greenwood is at 3.25 feet below full pool with surface temp in the mid 50s. 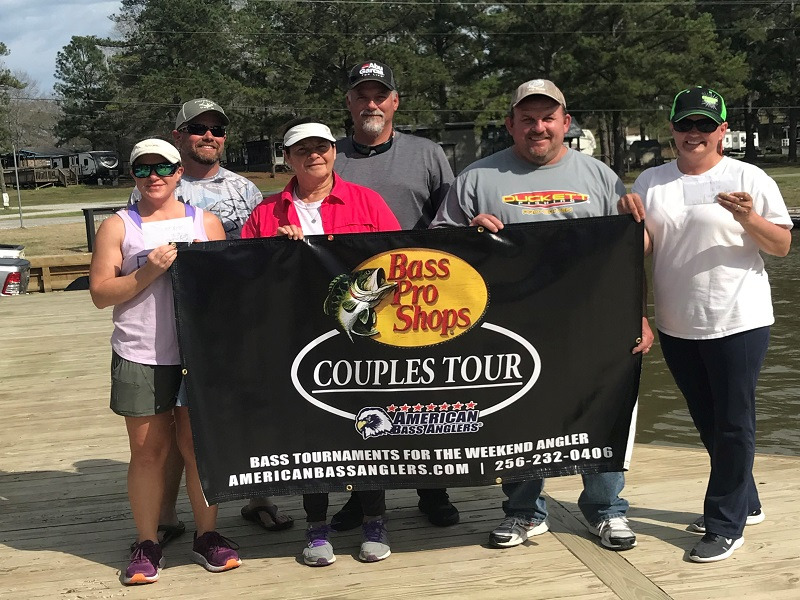 There were 41 anglers fishing this Division 96 1-day qualifier tournament out of Greenwood State Park near Ninety Six, SC. 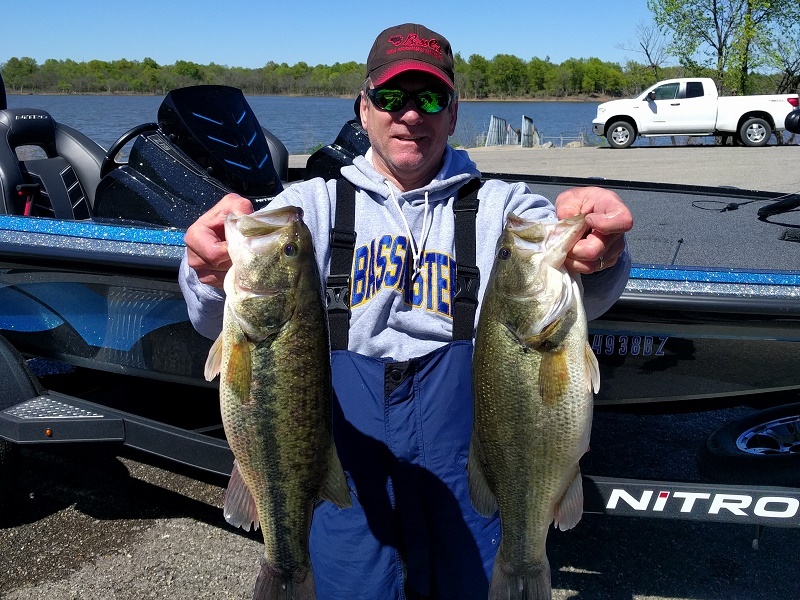 First place, Danny Ashley had 5 fish weighing 20.85 pounds that was anchored by the tournament ALX Rod Big Bass at 8.69 pounds. Danny caught his fish on blade runners and was fishing the middle part of the lake. The combined payback for first place and first place option pot along with big fish pot earned Danny $1236. Rhett Manus of Gilbert, SC was second with 5 fish weighing 16.52 pounds. He also caught his fish on a jig fishing the middle area of the lake. Rhett took home $668 for second place and second place option pot. Joey Miller of Waterloo, SC took third place with 5 fish weighing 15.90 pounds which included a 4.45 pound kicker. Joey caught his fish on spoons on the middle and lower parts of the lake. He won a total of $246 for third place. Fourth place was Patrick Hobson of Greenwood, SC with 5 fish weighing 14.84 pounds with a 4.32 pound kicker. Patrick took home $187 for his fourth place finish. Fifth place was Gary McGlorhorn of Batesburg, SC with 5 fish weighing 14.23 pounds. Gary won $151. Eric Edmondson of Gray Court, SC finished sixth with 5 fish weighing 13.96 pounds that included a 4.80 pound kicker. Eric caught his fish a little different by cranking on the upper part of the lake. Eric won $115 for sixth place. Ben Stone of Donalds, SC finished seventh with 5 fish at 13.84 pounds. Ben won an ALX Rod Hat and a $50 off coupon for the purchase of an ALX Rod. 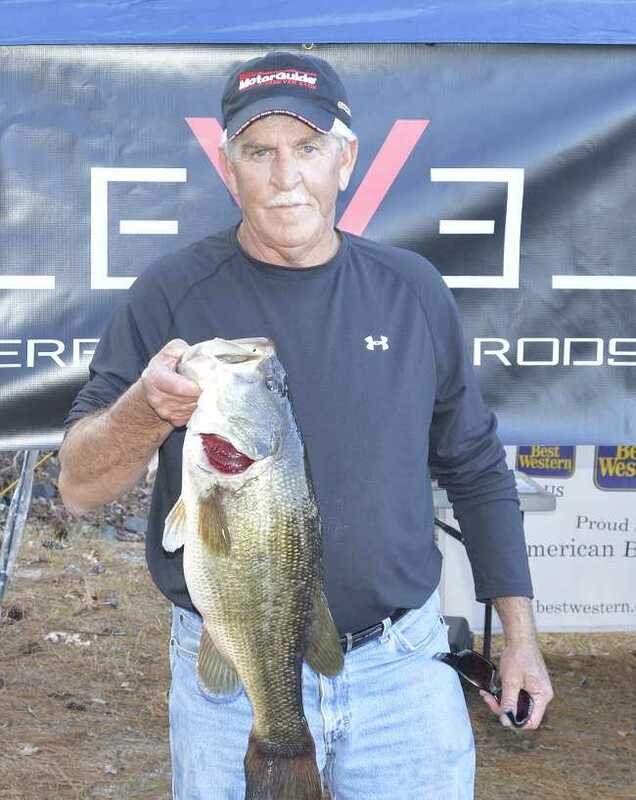 In eighth place was Gene Parker of Asheville, NC with 5 fish at 12.35 pounds. Gene won a Level Performance Rod Hat. The next Division 96 tournament for Division 96 will be on Clarks Hill Lake out of the Dorn Boating Facility near McCormick, SC on January 7, 2017. For more information, contact D-96 Director Phil Morris at 864-993-0346; email [email protected] or call ABA at (256) 232-0406. On-line, see www.americanbassanglers.com or www.aba-sc.com for complete results. Also check out our facebook page at D-96 American Fishing Tour.